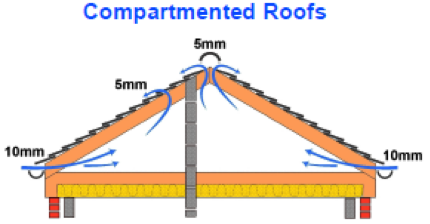 Ventilation requirements are expressed as being equivalent to the width of a continuous opening per metre run of eaves or ridge. 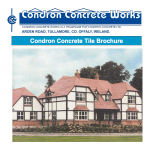 Therefore a continuous opening of 5mm is equal to 5,000mm²/m, 10mm equals 10,000mm²/m. 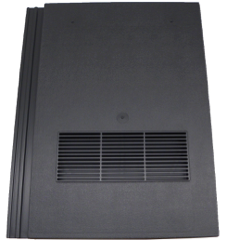 Ventilation may also be provided by a series of openings corresponding to the required mm per metre. on either side of the ridge line. 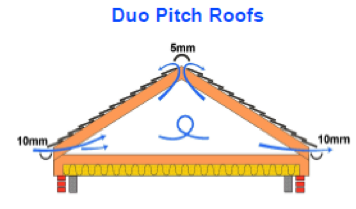 Where a roof space, with insulation at ceiling level, is divided by internal walls, each and every compartment within the roof must be considered individually for the purposes of ventilation at both low and high level. N.B. 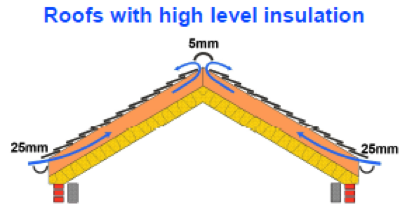 a 50mm gap is required between underlay & insulation. 110mm outlet with fitted adapter. 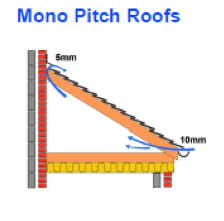 All vents are supplied with an underlay protector, which when inserted above any opening in the underlay will protect it from water ingress into the roof void. 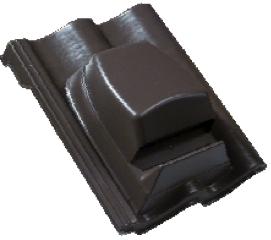 The innovative Quick-Flex connector easily connects the 110mm outlet on the back of the tile vent to other rigid PVC pipes used for soil vent or kitchen and bathroom extractors. The hand tightened compression fitting avoids the need for any tools during installation. 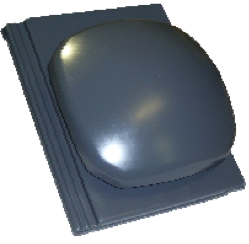 The optional multi-adapter is used to connect the LV200 vent to pipes ranging in size from 150 down to 100mm.